Satisfy your inner culture vulture at Nariman Point and Chhatrapati Shivaji Terminus. Popular historic sites such as Shree Siddhivinayak and Mount Mary Basilica are in your itinerary. Get out of town with these interesting Mumbai side-trips: Navi Mumbai (Juma Masjid & Thane Creek Flamingo Sanctuary) and St.John the Baptist Church (in Thane). There's lots more to do: appreciate the history behind Gateway of India, identify plant and animal life at Bhandup Pumping Station, wander the streets of Dharavi, and enjoy the sand and surf at Juhu Beach. 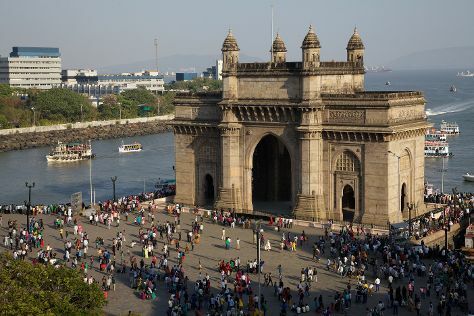 To see reviews, traveler tips, ratings, and other tourist information, refer to the Mumbai trip itinerary maker . April in Mumbai sees daily highs of 39°C and lows of 28°C at night. Wrap up your sightseeing on the 24th (Wed) to allow time to travel back home.